20TH TO 25TH February 2016. A previously planned short break to Morocco had been organised on the back of many favourable reports from fellow birdwatchers . 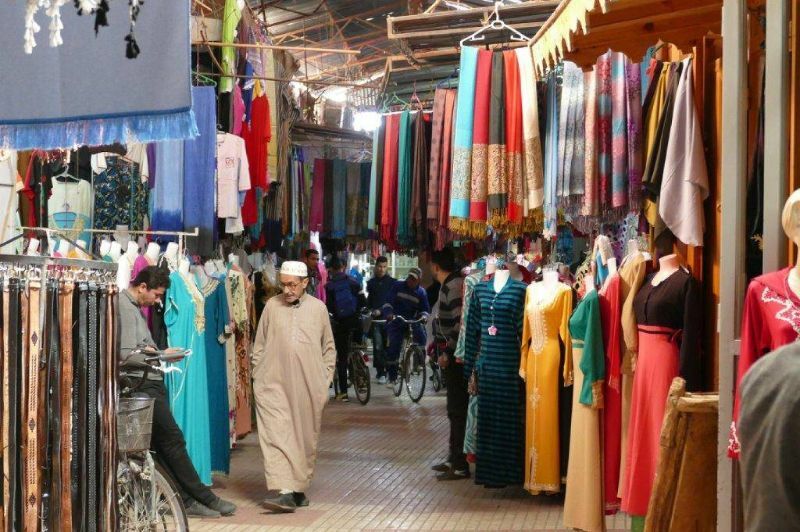 On account of the Isis threat and other terrorism in North Africa it was a destination which many people had temporarily taken off their itinery .So it proved to be a budget holiday with return flights from Stanstead to Marrakesh for £83, Four star Hotels on Bed and Breakfast basis at £23 per person per night . The low cost certainly did not detract from the quality of the experience .Picking up the hire car at the airport a three hour drive with stops took us down to Agadir on the Atlantic coast , this is an excellent base for exploring some well recommended sites , one of which is Tamri to the north . 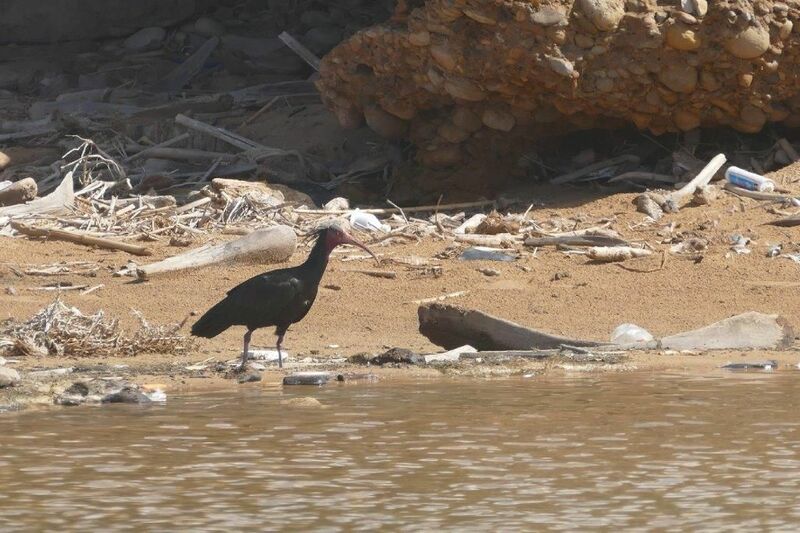 Here the target bird is the rare Bald Ibis or as the locals would call it ‘EEEbis ‘ we were lucky to see a flock of 19 individuals with an Osprey fishing in the estuary for good measure . The shoreline yielded Sanderlings and Kentish Plovers with Common and Sandwich Terns roosting amongst Audouins and Yellow legged Gulls . 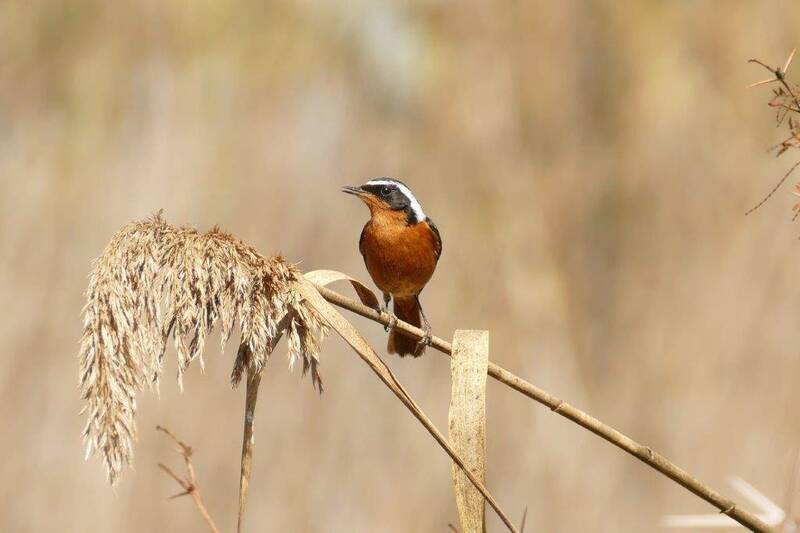 In the trees and scrub inland many passerines were seen ,such as Moussiers Redstart , Blackcap and Sardinian warblers , Woodchat Shrike and Southern Grey Shrike were soon added to the list . Overhead a Goshawk and a Booted Eagle were soaring .On the way back Black Wheatear , Little Swift and Barbary Partridge were observed whilst watching a pod of Bottle nosed dolphins just offshore .The following day a call into Oued ( river ) Sous ( south ) and a walk along the estuary found many waders on their way northwards again . The list included both Bar Tailed and Black tailed Godwits , Redshank , Grey Plover , Greenshank , Redshank ,Spotted Redshank to name but a few . In the scrub plenty of Common Bulbuls , Goldfinches , Linnets , Serins , Turtle Doves . It was here that we were challenged in a very courteous manner by two mounted police from a patrol as we were close to the royal palace . The next site visited was the eagerly anticipated site at Oued Massa which is an hours drive south of Agadir . Sadly this site did not live up to expectations although it was a truly wonderful walk minus the birds . 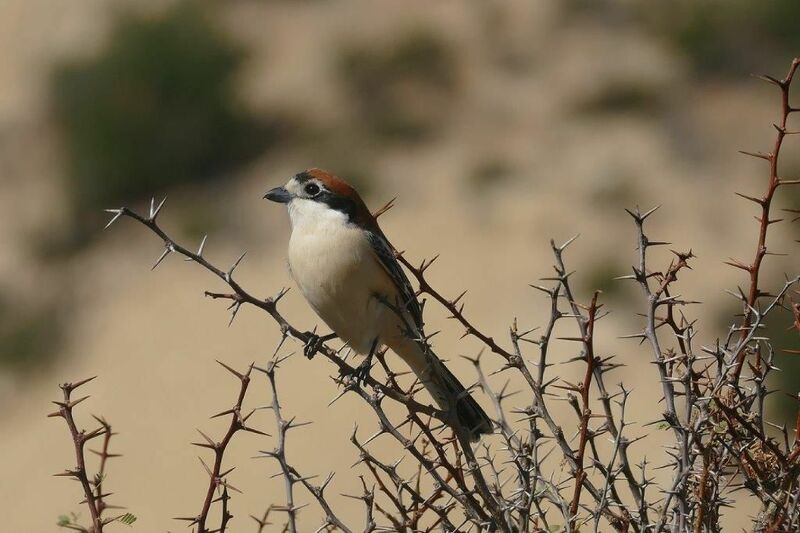 The star of the show was a Black Crowned Tchagra a shrike like bird which resides in the maritime scrub along this location . On the river a Kingfisher, Common Sandpiper, Cettis Warbler were seen but it gave superb opportunities to see donkeys and their owners working and harvesting their crops . A stop at Oued Sous on the way back gave more of the previous sightings .Leaving Agadir the return drive to Marrakesh was spectacular through a mass of variations in the landscape all with superb sunshine on them . Marrakesh was reached having taken a short detour to ‘Mini’ Marrakesh the city of Taroudant and once we arrived the hotel once again did not disappoint ‘ The Royal Mogador Palace’ £23 per night for this –Amazing Value! 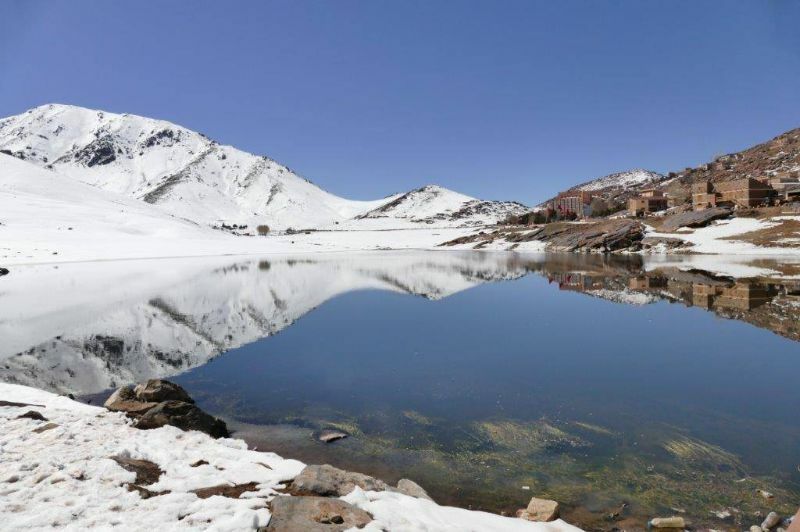 This hotel had been picked for its out of town location and also easy access to the Atlas Mountains . So that is where we headed the next day , so from sea level the previous day to 9000 feet up in the Atlas which still has a further 4000 feet above that to the top . The destination was Oukaimeden which in actual fact is a ski resort . To ski or birdwatch became bit of a hard choice on this particular occasion but birding won . 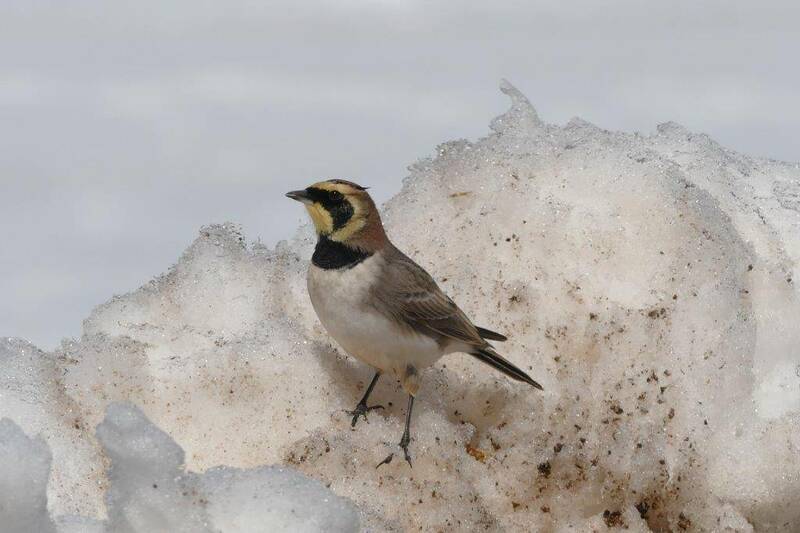 The first sight was a kettling of Choughs ( over 600 individuals ) mixed Alpine and Red Billed , flocks of Crimson Winged finches feeding on the ground in the car park and finally the holy grail Horned Lark again on the ground . A little Owl was also seen and a rather bizzare Grey Heron at this altitude . Several Black Redstarts put in an appearance . The scenery was spectacular with reflections in the lake having a rather unreal quality .